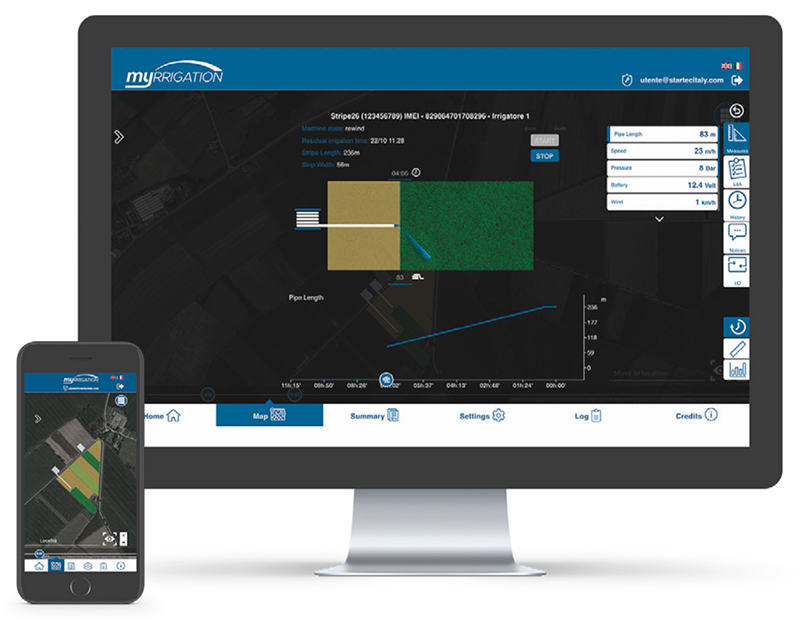 Myrrigation is the web application that allows the remote/smartphone control and management of the irrigation. 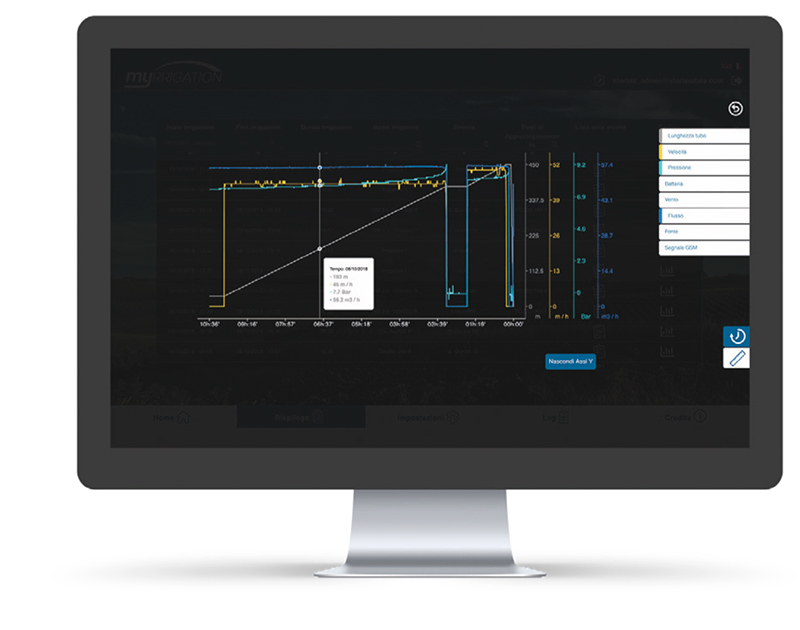 It allows the management groups of reels organized into fleets, interacting via web. 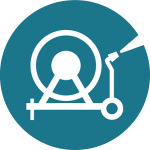 It is possible to define and manage reels, water sources and the interested areas, displaying them on the map with the relevant status. Data on the work carried out and on the use of water resources are also available, in graphic and tabular form.